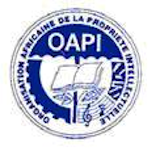 Our licensed Trademark Attorneys in OAPI Treaty will handle your trademark request, check all formalities, and then file with the African Intellectual Property Organization (OAPI). You will receive confirmation of filing and a copy of the filing request. We will contact you immediately if any subsequent office actions require additional information, or if there are any opposition in OAPI Treaty against your application. After the formal examination at the OAPI the trademark will be published for opposition to allow third parties to oppose if they believe that the mark infringes on their brands. The opposition period in OAPI Treaty is 6 months after publication. You will receive status updates as soon as your mark is published, and any actions the OAPI will take if oppositions are received. If no oppositions arise and your trademark is formally approved, you can expect registration within 9 to 12 months.